With apologies for posting this a day late -- I got in after midnight tonight. 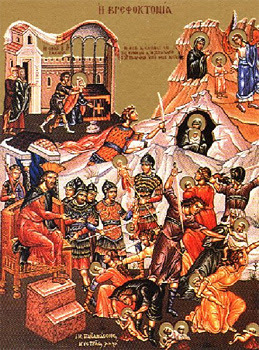 On December 29, the Church commemorates the Holy Innocents. Read the account from The Protoevangelium of James (see verses 22-23). What the media is doing to Ron Paul is criminal. A week shy of a full year.....a reflection.